Artificial Grass in Palo Alto, Santa Clara County, California & Beyond. If you’re in the market for artificial grass in Palo Alto, Santa Clara County, CA, turn to Watersavers Turf. We carry more than 40 different styles, making it easy to find the right option for your project. That’s not the only reason we’re the premier suppliers of artificial grass in Palo Alto, Santa Clara County, CA. We also have a wide range of tools to help you maintain and install your turf. If you need a contractor to install our turf, we’ll refer one. If you are a contractor hoping to learn the business of installing artificial grass in Palo Alto, Santa Clara County, CA, we offer free classes to help you get up to speed. We want both homeowners and business owners to know about the benefits of fake grass in Palo Alto, CA. First of all, unlike real grass, you never need to water it. This helps you save a lot of money in the long run. It’s better for the planet, too. Reduced upkeep costs are also among the key benefits of fake grass in Palo Alto, CA. Because you don’t need to mow or reseed it, you can enjoy a bright green lawn without devoting hours upon hours to maintenance each week. 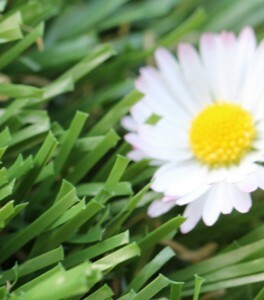 Want to know more about the benefits of fake grass in Palo Alto, CA? Take a look at some numbers. When you replace a real grass lawn with a faux grass surface, you could save up to $2,000 per year. You’ll also reduce your yearly water usage by 30,000 gallons. This is good for both your wallet and the world. Take a look at our Annual Cost Savings Chart to get an even better idea of just how much you could save over the years. Of course, you want to be sure your lawn surface is safe. That’s not a concern with our products. We only sell turf that’s lead-free, non-toxic, and contains no crumb rubber. As such, it’s safe for both people and pets. Watersavers Turf is the only supplier in the region to offer an 18-year residential use warranty (10-year commercial use). That’s just one of our benefits for lawn replacement in Palo Alto, CA. 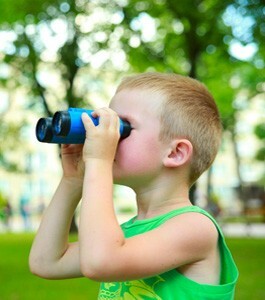 We also work hard to ensure that all our clients have all the knowledge they need to get the most out of our products. Perhaps you’re a contractor looking to offer lawn replacement services. Before you can, you need to learn how to install our turf. That’s why we hold free classes on the subject. We’ll supply you with the info you need to build your business. Check our schedule to find a class you can attend. Not sure how you’ll be able to decide on a lawn replacement option with more than 40 styles to choose from? It’s easy to decide when you can see and feel the turf first. That’s why we offer free large 1’ x 1’ samples. Head to any of our SF Bay Area locations to claim yours. If you’re not from the region, that’s not a problem. We gladly ship our samples to any spot in the Continental United States. Shipping is free if you’re a contractor. Keep in mind; you can do more than just replace your lawn with our turf. People from all corners of the globe have found smart, fun ways to make use of faux grass. Their projects can inspire yours. With that in mind, we publish blogs and newsletters on the subject. They’ll help you come up with your own unique plans. On top of all that, we offer the most competitive pricing in Northern CA. Call us at 844-874-8873 for more info, or contact us online for a free estimate. Again, there are many uses for residential artificial grass and commercial synthetic grass. If you own a home, the odds are good you want your lawn to impress. Sadly, the real world doesn’t always cooperate with your landscape design goals. It takes a lot of effort to grow and maintain a real grass lawn. You have to seed it, water it, mow it, and rake it throughout the year. Even if you stay on top of upkeep, harsh weather can damage a yard in an instant. Faux grass makes for a surface option you can rely on. You won’t just save money when you choose to make the switch. You’ll also give yourself the chance to finally design and install the lawn of your dreams. Best of all, you can be sure it will always look just as gorgeous as it did when you first installed it. Any kids in your family? You can even add cushions beneath the fake turf surface to protect them from falls. No matter what kind of business you run, there’s a good chance you’ll also find a reason to install our products. Café owners use them to convert unused outdoor space to open-air dining spots. Hotel owners install fake grass on roofs to offer guests outdoor lounge spots. If you run a retail store, our products make it easy to boost the curb appeal of your property. You’ll attract more customers as a result. Even if you don’t own a store, you still want clients to be impressed when they visit. Your staff will also be happy when you choose to install faux grass. Studies show that being exposed to scenes of nature—even if it isn’t real nature—boosts your mood and makes you more hard-working. Some business owners use fake turf to give their staff members a green outdoor space where they can relax during breaks. Doing so benefits the entire company. 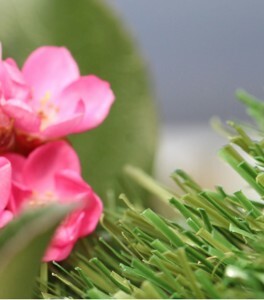 There’s no shortage of uses for artificial sports turf and pet grass. In fact, sports fields were among the first places to make use of fake grass when these products first hit the market. Since then, many teams and leagues have gone this route. A real grass field takes a major beating over the course of a game. It takes a lot of time, money, and labor to stay on top of repairs. Sports turf is a better option because it stays in great shape, even after rough matches or intense storms. This makes it a safer option for teams. Since the surface remains even and flat, there’s less risk of injury. That’s one of the key reasons why school districts often opt for faux grass over real grass. Keeping players safe is a major concern for parents and coaches. The money schools save on upkeep also allows them to preserve and even expand the sports programs they offer. Pet grass is ideal if you want your dog to get a workout without having to clean the house every time they track dirt and mud back into your home. With our turf, your dog can play on the lawn or in a custom dog run for hours. When they return home, they won’t make a mess. Since our products are lead-free and non-toxic, they’ll stay safe. If you own a kennel, use pet grass to install a play space for dogs. More people will trust you with their pets if they know they’ll have a place to roam around outside during their stay. Thanks to Watersavers Turf, it’s always easy to find turf tools and accessories in Palo Alto, CA. For contractors, we offer the Easy Seam machine. This device helps you bind turf sections quickly without using glue. The more quickly you finish a job, the more work you can take on. We also offer boxwood panels which you can use to add greenery to your walls. We even carry golf flags! The truth is, we have a lot of products to offer. To see them all, browse our full catalogue. We don’t just deliver to one state. Fake grass can be put to good use no matter where you are. As such, we also ship to any state in the Continental US. 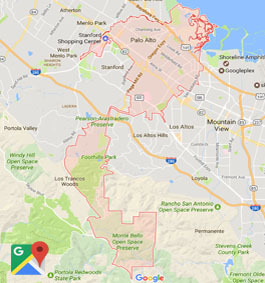 Finding things to do in Palo Alto, Santa Clara County, CA is easy. The tech boom brought a lot of business to the area. Now it’s a thriving city. 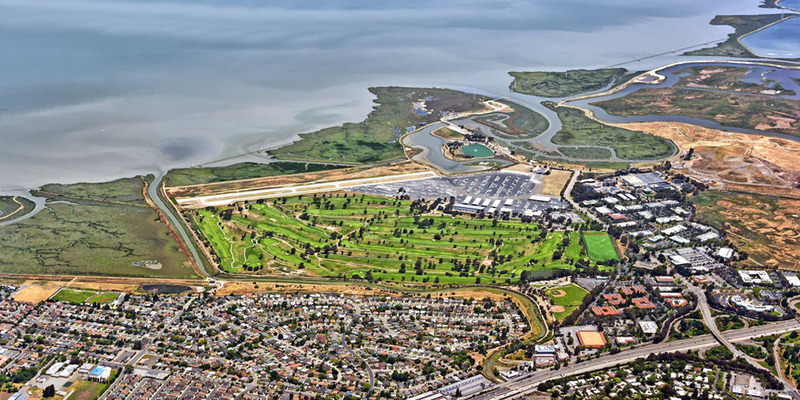 Outdoors fans looking for things to do in Palo Alto, Santa Clara County, CA can head to Baylands Nature Preserve. Its 15-mile network of multi-use trails is ideal for someone who enjoys spending a day out in nature. 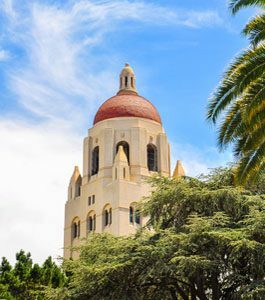 Nearby Stanford University provides sports fan with plenty of things to do in Palo Alto too. Catch a game during the playing season, or simply tour the gorgeous campus grounds. While you’re in the area, you’ll find that many people chose to replace their lawns with faux grass around here. After the drought, they realized why it was a smart choice. That said, you don’t need to live in a drought-stricken region to find uses for our products. No matter what kind of project you’re working on, we at Watersavers Turf will help you realize your plans. Contact us online, visit one of our San Francisco Bay Area locations, or call 844-974-8873 toll-free to learn more. Be sure to ask about our free large 1’ x 1’ samples, free delivery offers, and free estimates. We’ll make sure you get the kind of service you deserve.